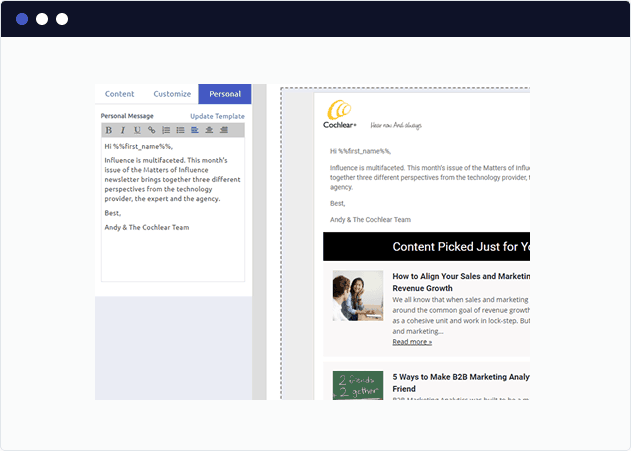 Ready to build your first curated Pardot newsletter? 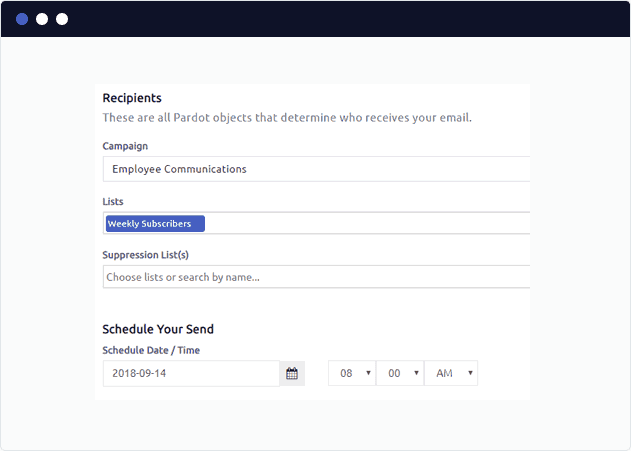 Here is a look at how the typical user curates a Pardot newsletter. The first step to a great curated email is finding trustworthy, high-quality content. 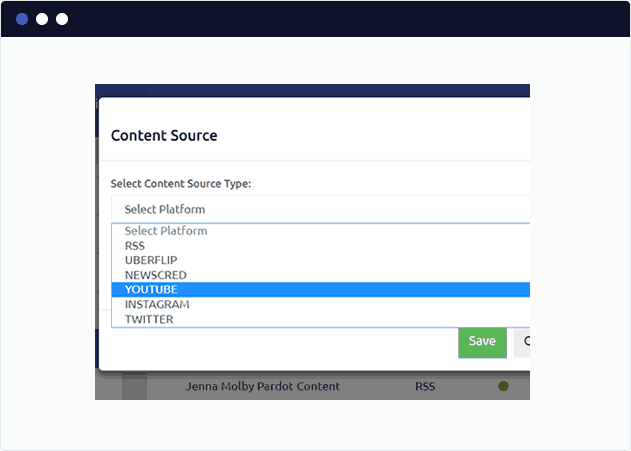 You can add the feeds of popular blogs, YouTube channels, Instagram users or bookmark any web content for inclusion in your curated Pardot newsletter. 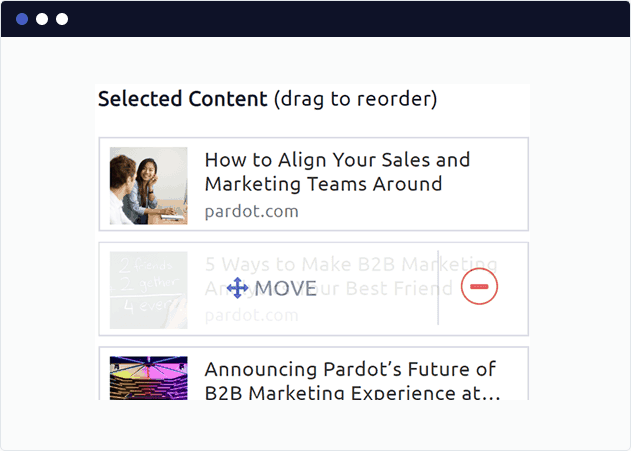 When you’re ready to publish your email to Pardot for sending our one-click publish takes you directly to a new Email Program and Email ready to be A/B tested, edited, or sent. Sound easy enough? Create your first curated Pardot newsletter today.